Diorissimo is a classic from the 1950s before Dior went the youth route and replaced their hard hitting fragrance lines with stuff like Miss Dior Cherie. I smell Diorissimo and miss the days when it was okay for a fragrance to be heavy and heady. In Bottle: Florals with a slight sting of citrus up front and a coating of animalic civet in the background. Applied: Fresh and green with a citrus opening and that smell of leaves and dew. The lilies come in during the mid-stage and in the final act of the opening and proceed to dominate the fragrance. The lily scent in the middle is very noticeable, clearly the stars of the show as the fragrance settles into this heady floral lily mixture that’s just unrelenting. I still get a bit of that fresh green leaf scent that present when this fragrance was first applied but the civet can’t stay hidden forever. It creeps up as the fragrance gets warmer and dirties the scent up quite a bit. At times I’m wondering who let the mongoose into the garden as the civet is a bit disturbing but at the same time feels like it belongs. The dry down introduces a bit of sandalwood, scenting together with the lilies as the two do a little good against the ever-present civet. Extra: Diorissimo is still available in its Eau de Toilette form and for the most part, it smells similar now to when I first smelled it in the 90s and, all things considered, it is available for a fairly reasonable price. You can also hunt down the Parfum concentration, though I’m told it’s more rare, more expensive, and even headier than the EdT. Design: Bottled rather simply but has a classic elegance to it that says this stuff doesn’t need frills and gimmicks to look good and be good. I like the simplicity of it all. The brush script I can take or leave but the overall design is pleasing and nice. Notes: Bergamot, leaves, rosemary, lily, lilac, jasmine, lily of the valley, ylang-ylang, civet, sandalwood. I’m not sure how to treat the civet in Diorissimo. It’s not heavy enough to be a deal breaker, but I do notice it and it does put me off a little. Regardless, if you like a little civet here and there Diorissimo is a beautiful classic that’s survived the times–mostly–in tact. 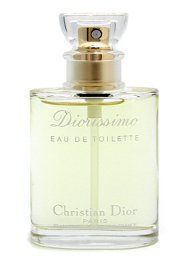 Reviewed in This Post: Diorissimo, 2005, Eau de Toilette. 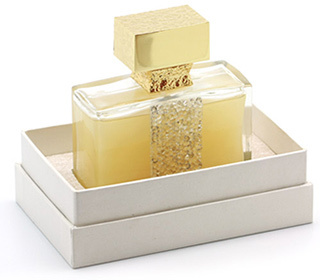 Oscar from Oscar de la Renta was released in 1978 and is described as a floral aromatic. This fragrance, to me, is like all the good parts of women’s fragrance and men’s fragrance put together to form a very classic fragrance. In Bottle: Sharp green and a bit powdery. I get a lot of the herbs in the bottle with a faint trace of florals in the back. Applied: Herbs and powder, a bit of a strange mix but not at all unpleasant with the rosemary being the most dominant note. It’s interesting and definitely smells like a classic fragrance. As Oscar settles down the perfume heads into more floral territory with a smattering of herbs and green rosemary while still retaining that classic powder scent. The fragrance uses florals in a sheer way with a hit of spicy carnation to give those flowers a bit more sway. The dry down is probably my favorite part that sees Oscar head into this warm amber and spicy powder finish with a dash of full-bodied patchouli. I know a lot of younger people who will be turned off by the powderiness of this and I will warn everyone that this does smell very much like a classic. But if you’re looking to smell sophisticated, this is good stuff. Extra: Oscar was composed by Jean-Louis Sieuzac. One its recent bottle designs was done by the famous Serge Mansau. Design: Oscar’s eau de toilette bottle (pictured) is a tall glass with a black cap and usually silver sprayer. 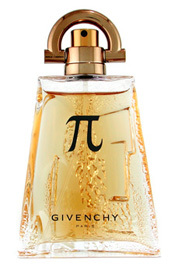 The shape of the bottle is a bit interesting and sets it out from other perfumes by not being a big tall rectangle. The parfum version of the bottle looks more exciting, having a Marc Jacobs Daisy meets Nina Ricci L’Air du Temps style with its flower motif. Notes: Orange blossom, basil, coriander, galbanum, peach, gardenia, ylang-ylang, jasmine, tuberose, rose, rosemary, cyclamen, lavender, orchid, opoponax, carnation, patchouli, sandalwood, vetiver, amber. I’m loving that notes list and marvel at how well the notes actually work in this fragrance. Oscar is available for purchase almost everwhere with a strong presence at internet retailer sites and can also be purchased on the official Oscar de la Renta site. Reviewed in This Post: Oscar, 2002, Eau de Toilette. It’s funny to me how Creed priced its Green Irish Tweed (GIT) out of many people’s markets and drove them to a cheaper, albeit, very good alternative in Cool Water. These days when people think aromatic aquatic,they think Cool Water for the very simple reason that Cool Water was more affordable, more readily available, and it pretty much smells the same to most people’s noses anyway. In Bottle: I’m one of those people who find Cool Water and Green Irish Tweed very similar so I’ll try to vary this up a little but do keep in mind these two fragrances go through the motions in relatively the same way. Cool Water opens with a green, citrus, aromatic backed by a couple of gentle wood notes lingering in the back. It’s herbs, aquatics, and woods basically. Applied: Citrus is quick to fade with the green aquatics sticking it out while the woods and aromatics work their magic. Cool Water is a fresh, clean, easy to wear and easy to love fragrance that I have a hard time finding fault in. This was one of the earlier aromatic aquatics that lived in a time where the market was less convoluted. It grows on me, keeps me reminded of Green Iris Tweed. But there’s a bit of a difference between Cool Water and GIT, and that lies in the complexity difference between the two. There’s a certain flatness that Cool Water hits during the mid-stage, as if some component is missing from the fragrance as a whole. I want to say it’s missing a refined floral heart like GIT had while Cool Water focuses more on the aromatics and woods side. Whatever’s missing it, it needs to be looked for in order to notice, but I’m still left wondering just what that is. It seems to be the ‘spark’ that sets GIT aside from Cool Water for me. Cool Water chills out in the end stage with a cedar note. The cedar’s threatening me, of course, but it’s not as loud as some other cedars have been. Extra: Now, I can sit here and ponder the intricacies of these two fragrances all day but being a child of the late 80s and early 90s, I smelled my fair share of both GIT and Cool Water. They’re still both very popular fragrances but they spawned a trend in men’s fragrances that still persists today. The aquatic fragrances family. A family so full of members that I have a hard time telling them all apart. Design: I’m going to have sigh and say I’m not a fan of the bottle here. The colored glass angle has to be played right with perfume in that the shape of the bottle has to be able to stand whatever color you splash on it. Use too little color and people won’t notice. Use too much and the glass ends up looking like plastic. Unfortunately that’s the case with this bottle, it reminds me of a shampoo bottle. Notes: Mint, green, lavender, coriander, rosemary, geranium, neroli, jasmine, sandalwood, cedarwood, musk, amber, tobacco. There’s two main version of Cool Water (and a huge lot of flankers). One for men and one for women. This review was regarding the men’s version. Reviewed in This Post: Cool Water for Men, 2005, Eau de Toilette. People hunt down bottles of Bal à Versailles to see what it smells like. I have to say some of these people probably do it because they’re curious about the perfume Michael Jackson wore. Hard to blame them for being curious, but amongst some of the more popular opinions include, “This doesn’t smell like how I’d imagine Michael Jackson would smell like” and “This smells weird”. In Bottle: It opens as an aromatic animalic. Love how that rolls off the tongue. Rosemary is prominent at first, followed by a very light dust of florals that are accompanied by a dark animalic undertone. Applied: Get used to that dark animalic undertone as it will accompany you on your olfactory quest. The rosemary is quick to open up and for me, the rosemary stuck around in the top notes and fled as the mid-stage introduces a very classic smelling floral. Powder and flowers, sultry, dark, sensual. The florals are joined by a smooth series of woods that keep this fragrance somewhat unisex. This is a masquerade party in the form of a perfume. It’s classic, it’s sensual, but it’s not afraid to be elegant either. It’s a deeply complex little journey as the mid-stage slowly gets more and more sultry on entering the final round of its very interesting existence. The end stage is a mix of warm amber, smooth woods, and sensual musk. Extra: Bal à Versailles was released in 1962 and ever since a certain King of Pop adopted it as one of his favorite perfumes, it has been known to many of his fans as, “That perfume Michael Jackson liked, but I don’t”. For the rest of us, Bal à Versailles is a beautiful piece of complex nose art. Design: I like the shape of the bottle, very vintage looking. It’s beautifully designed and beautifully presented. 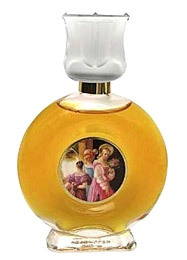 I’m even okay with the Rococo-style painting on the bottle which at first glance seems out of place, but grew on me. It’s Rococo, how can I lose? For someone who doesn’t usually get on board with things like this, Bal à Versailles played just the right amount of right to make the design work. Not to mention the look of this bottle is so easy to recognize anywhere. Notes: Rosemary, orange blossom, mandarin orange, cassia, jasmine, rose, neroli, bergamot, bulgarian rose, lemon, sandalwood, patchouli, lilac, orris root, vetiver, ylang-ylang, lily-of-the-valley, tolu balsam, amber, musk, benzoin, civet, vanilla, cedar, resins. Now, bear in mind that Bal à Versailles is not the most accessible fragrance out there in terms of going to a department store, slapping some money on the counter and saying, “I’ll have the usual, Tom”. I wish ordering perfume was like that. Anyway, Bal à Versailles is not as hard to find as one might think. It’s not everywhere like Britney Spears Fantasy, but it’s not squirreled away in an obscure niche like–heh–Bruce Willis Cologne either. You can easily find Bal à Versailles on discounter sites and some department stores. I recommend anyone interesting in fragrance to give it a sniff. And if you were wondering what one of Michael Jackson’s favorite perfumes smells like, well, there you go. Reviewed in This Post: Bal à Versailles, 2003, Eau de Toilette. Light Blue Pour Homme falls into that weird category of “sports” fragrances that are described as fresh, clean and perfect for the active man. It’s no surprise then that Light Blue Pour Homme is as inoffensive as they can get. It also sort of smells like deodorant and at the same time smells like about ten other sports fragrances for men out there. In Bottle: Spicy, woodsy, citrus. Pretty standard as far as inoffensive aquas go. With an opener that contains lime, bergamot, rosemary and a hit of woods, I don’t see this turning any heads to someone or away from someone. Most people would probably just think you’re wearing a standard men’s deodorant. Applied: Same deal here, hit of bergamot, lime, rosemary and some woodsy notes. It stays like that for a few minutes with the citrus ebbing out a bit as the rosemary gets stronger. The dry down is a bit woodsier but still with that sharp, fresh and clean bite to it. Light Blue Pour Homme is an all-purpose sporty fragrance with a lack of distinction. It doesn’t smell bad at all. It just smells–eh–ordinary. That isn’t necessarily a bad thing either. If you’re just looking for something that’s going to smell good, that you can wear during the summer months, that won’t offend anyone, Light Blue Pour Homme is the safest bet. Extra: Dolce & Gabbana started in 1985 as an Italian luxury fashion house. One of their most popular fragrances, that this one was based off of, is Light Blue. Another that you may be familiar with from Dolce & Gabbana is The One. Design: The bottle for Light Blue Pour Homme is a step above the bottle for original Light Blue. Pour Homme has a more interesting shape, though the look of it reminds me more of a bottle for a face cleanser than a luxury fragrance. But still, the design is decent. The sprayer works fine, distributing a fine and even mist. The cap is easy to take off and put on. It has that really nice slide to it. 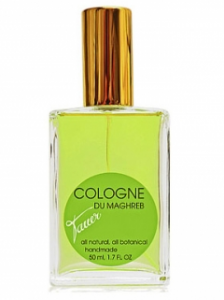 Notes: Apple, bluebell, cedar, jasmine, rose, bamboo, amber, musk. With the fact that I said this smells more like a deodorant than an interesting men’s fragrance, I will point out that Light Blue Pour Homme comes in deodorant stick form. Hey, talk about convenient. 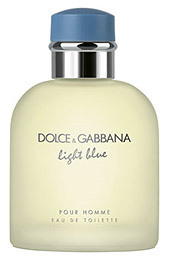 Reviewed in This Post: Light Blue Pour Homme, 2009, Eau de Toilette. Disclaimer: The fragrance sampler spray reviewed in this post was provided to me for free. I am not in any way receiving pay or compensation for this review. This review was written based upon my personal experience and opinions of the product.